Our landing strip has changed much since I did this last year. 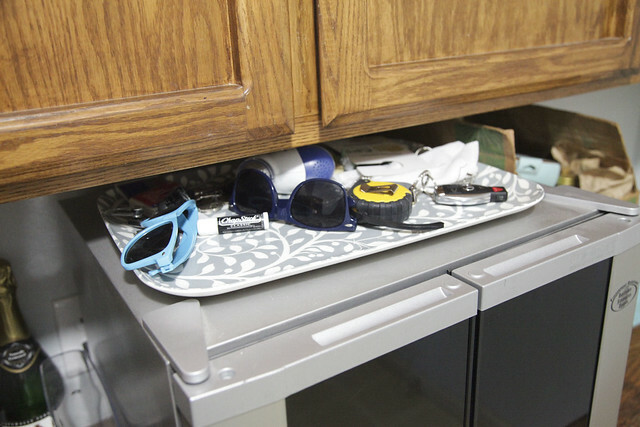 We still put our keys in the tray, but because counter in the laundry room is taken up by the cat’s food dishes and our wine cooler, we’ve resorted to putting the tray on top of the wine cooler. 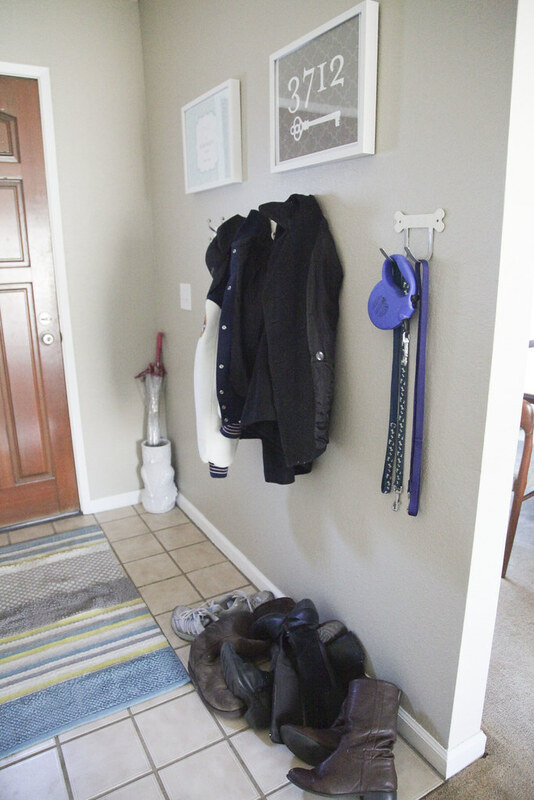 Our jackets, commonly used shoes, and the dog leashes all hang out in the entryway. One of my goals this year is to make a designated command center, one that house keys, mail, purses, etc. in one. Hopefully I can use this old dresser to do it. Who knows? Doing a media fast was tricky, and to be honest, it didn’t happen. I had good intentions to do one because I set out to find Mockingjay to read for the evening. En route to find it, I had to answer several phone calls pertaining to an event happening this weekend. And with everything that happened that day, I really wanted to just relax and watch Sherlock. 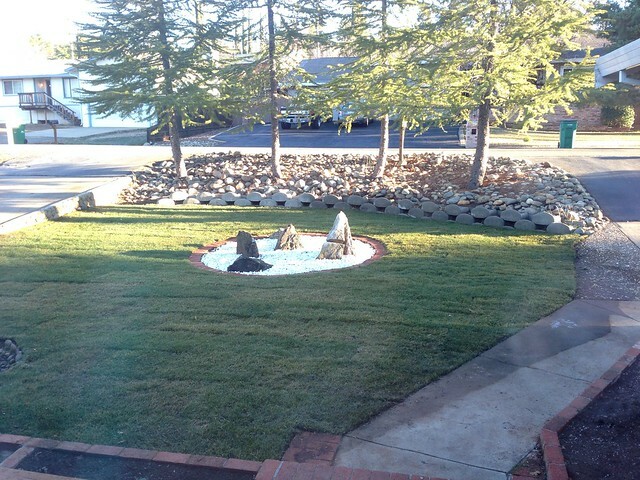 Our goal project this month has been to get the front yard finished. Last week the sod was delivered and installed, which was a huge part that needed to be done. On Saturday we went to Home Depot for some white rocks to fill the center ring. Unfortunately we underestimated how much rock we needed, and we didn’t get the rest until last night! Originally we were going to put a bird bath in the middle, but we decided not to for two reasons. One: bird baths are very hard to find, and two, we like how simple it looks. 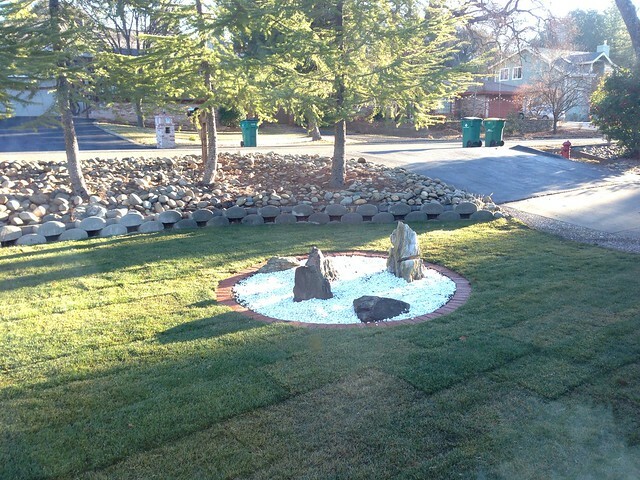 Same with putting in stepping stones; we like how clean it all looks and don’t want to busy it up with stepping stones.